But the Daily Mail claims that Alexis moaned to Manchester United's medical staff after the game about a problem in his knee which he picked up after running into the Italian match official, Fabiano Preti. Although the 30-year-old was able to replace Lingard during the match, Alexis now faces a race against time to return to full fitness in time for the club's FA Cup match against Chelsea next week. 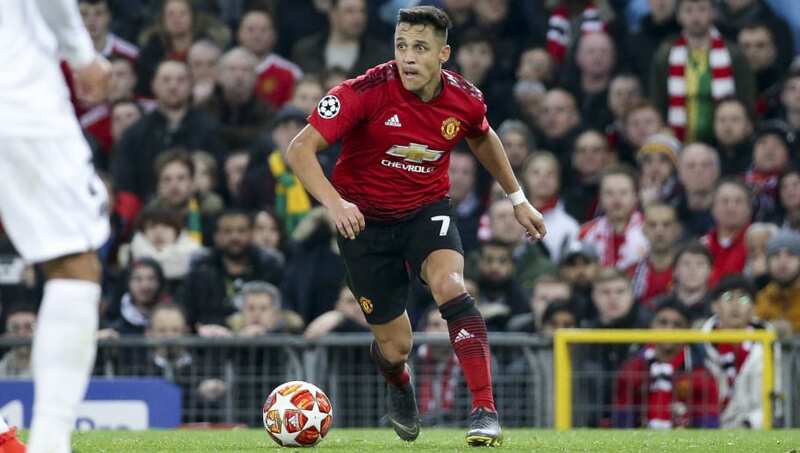 Alexis had an underwhelming second half against the French champions and new manager Ole Gunnar Solskjaer insisted that he wasn't capable of turning the winger's fortunes around. Alexis Sanchez injured himself colliding with linesman whilst warming up for the PSG game...highest paid player in the league and can't get past an official who runs in straight lines. "I can't do anything about Alexis Sánchez," he said after United's loss. "When he plays he needs to find himself." So far, the Chilean has featured in all but one match that he's been fully fit for under Solskjaer, but he's only started three games under the Norweigan and hasn't completed a full 90 minutes since the opening day of the season against Leicester City.